My daughter was in need of some much-needed pampering the other day. She was hiding in her room as I was headed out to run errands when I got a text from her: Mom can you please get me some dark chocolate and strawberries and some more of those boy short undies I like? Love U. It occurred to me that besides the usual taking care of our teens, they need a little extra once in a while too. This is especially true for teens who have just moved to college. 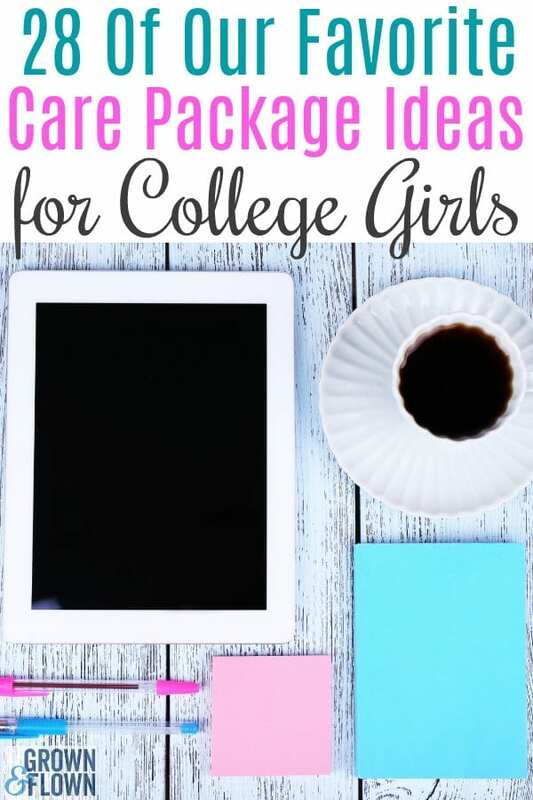 Grown and Flown put together our favorite items for college care packages for girls. Note: We receive compensation from purchases made through the links in this post. One of our favorite jewelry designers, Austin-based Kendra Scott, just launched a collection of charms that can be added to necklaces and bracelets to create a highly personalized and original look. Nice means well, but it’s not enough. Kind is different. Nice is polite, but it stays out of it. Kind is honest – it speaks up and rises to the occasion. Nice doesn’t add to problems, but Kind rolls up its sleeves and solves them. Send your daughter something new to wear from J. Crew, now available on Amazon as “J. Crew Mercantile.” My daughter and I love their t-shirts (and jeans and dresses…) and these come in lots of great colors. A fun idea she can share with her friends for a ‘girl’s night in’! Journaling got me through my teen years and experts agree it’s beneficial for all ages. We all need some things to help us relax and our teens are no different. A nice eye pillow is cute, luxurious and might help your college kid get a little extra sleep. This is the perfect size for your daughter to have in her dorm room to play her favorite music, use as a timer or alarm clock, call an Uber, order a pizza and so much more. A soft blanket is a lovely gift for your daughter to keep at the foot of her bed and wrap up in while indulging herself in a little Netflix. Having a little color on your nails always makes you feel better. This kit full of all the latest colors of polish will be perfect, especially if you can find it in her college colors. 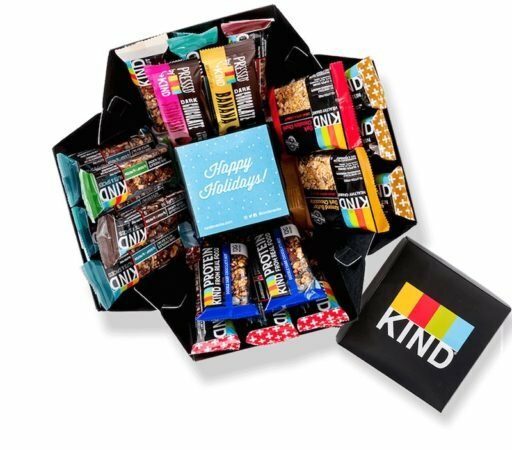 Every month, Target curates a themed box of some of their most popular items and will ship it to your daughter. You may never assemble your own care package again! Just let Target do all the work. 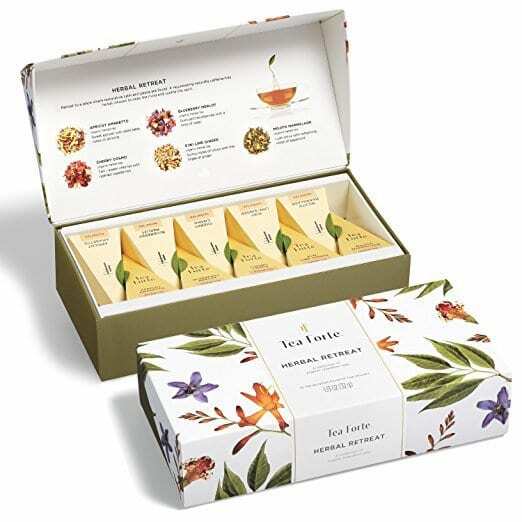 With this assortment of herbal teas from Tea Forte, your daughter will feel comforted and loved, especially if she is coming down with a cold…. A warm chocolate cake with chocolate icing that your daughter can cook in a microwave in one minute (!) might just be a perfect indulgence after a long day of classes. 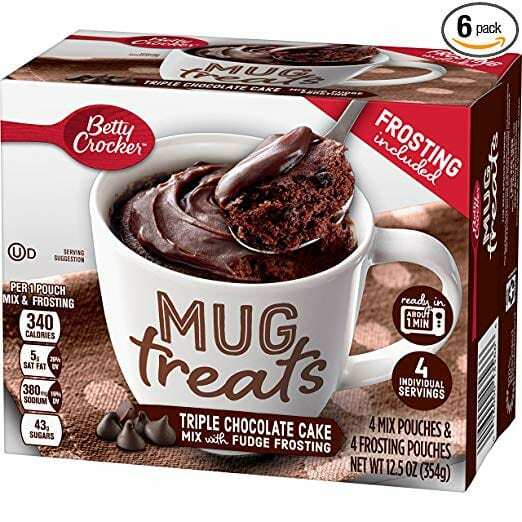 The Mug Treats come in many flavors which you can check out here. Sometimes a little humor goes a long way in trying to discuss laundry with our teens. This t-shirt says it all. Send a few toppings of dried fruit and nuts to go along with the oatmeal. This brand is a favorite. Hydro Flask is a very popular new brand. This is our new favorite brands for lip balm and it comes in many great flavors. This is just about perfect way to make hot chocolate. Our daughters need to take care of their beautiful young skin and sending sunscreen that smells like a day at the beach is a great way to get them into the habit. These makeup wipes are the easiest way to take off makeup, especially if you want to clean your face without walking down to the communal dorm bathroom. This is a high fiber, low cal snack that is so much healthier than chips but satisfies that same urger for a salty snack. Check out our Grown and Flown shop on Amazon for all our ideas for college care packages for girls and guys here. « Not Crying at College Drop Off? GOOD! Don’t Feel Any Guilt About it Either!